Parks over the two mountains are graded according to the size of features from small (S) through to extra large (XL). Also known as Whistler Park, this area has three separate runs over 1,100 feet long with a vertical drop of 600 feet. A step up from the Terrain Garden on Blackcomb Mountain, park riders can work their way through various sized features on three runs - Cougar (S), Chipmunk (S, M) and Bobcat (M). The Habitat Park features enhanced rollers, hips and table tops. All lines have low to mid range jibs and rails such as fun boxes, rainbows, flat and step down rails. The Habitat Park is a great place for experienced park riders to improve their skills on the progressively shaped hits and rails in each line. Designed for skiers and riders learning how to use park features, the Terrain Garden is the first stop in the park progression. It features smaller versions of rails, rollers and mini-hits and is groomed nightly. This main park runs 3,480 feet in length with a vertical drop of 1,007 feet. It includes table tops , hip jumps, spines, step-up jumps, banks, rails, and fun boxes. A Zaugg grooms a 18 foot halfpipe at the bottom of the Terrain Park. Construction dates vary with weather and snowpack conditions. Now that Snowboard and Ski Cross are recognized winter Olympic disciplines, the Snow Cross track provides a daily training ground for aspiring athletes. Big banks, rollers and step-ups challenge skiers and riders daily and are tweaked up for event days. Set a personal time to beat or race your buddies, the Snow Cross is a great place to improve high speed skills. Access the track from the Springboard run. The Highest Level is for expert park skiers and riders only. With impressive specs - 1,720 feet long and a 485 foot vertical drop - the park features include some of the biggest and most technical table tops, spines, rails and jibs in the industry. Groomed nightly by the Park Bully snow cat, the park is frequented by top athletes training for international competitions. Helmets are mandatory, access through the Nintendo Terrain Park. Summer Freestyle camps take place on Blackcomb's Horstman Glacier during the summer months. 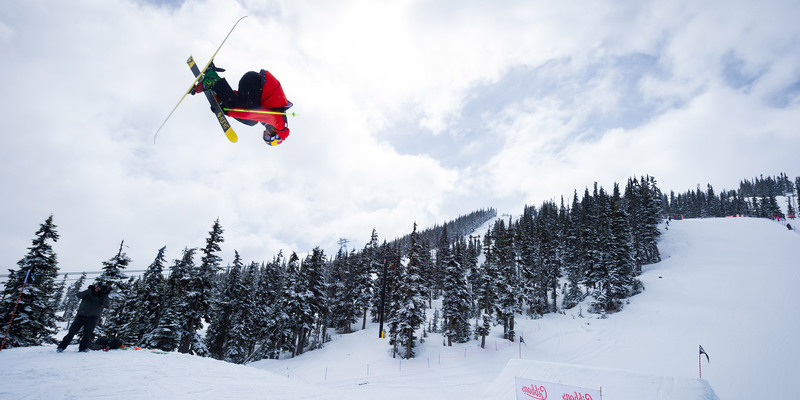 Blackcomb's terrain parks remain open through the spring, until the end of May. 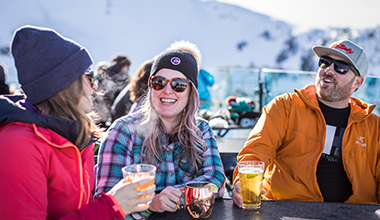 Blackcomb's summer glacier skiing and riding begins at the end of June and features a Summer Terrain Park with rails, hits and a Super Pipe. The summer pipe is cut nightly with the Zaugg Pipe Monster and the Park Bully maintains the features. Hang out with pro skier Simon d'Artois for a couple of laps at Whistler Blackcomb's terrain parks. 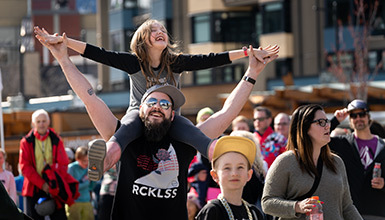 For more than 20 years WSSF has been rocking ski socks off visitors, combining arts, music, and cultural events with skiing and riding.